1. 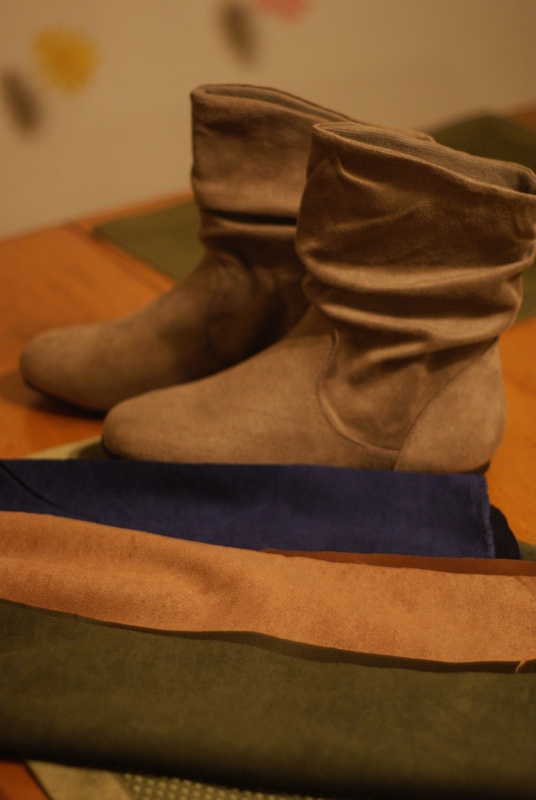 I bought the faux suede from Jo-Ann’s; about a foot of each color (which was way more than enough). It was pretty thin, too, so easy to cut into strips for the fringe. 2. I measured the width around the boot (and by “measured” I mean wrapped the fabric around the boot and cut where it overlapped…clearly a very mathematical process), then used the first piece as a template for all other strips of fabric. 3. Starting with the bottom color, I used a “permanent adhesive” fabric glue to glue the top part of the fabric piece to the boot, gluing about two inches at a time. 4. Once glue was dry (which only took about a minute in impatient Nicole time), I cut the fabric into thin strips to create the fringe. 5. Repeat steps 3 and 4 with remaining colors. 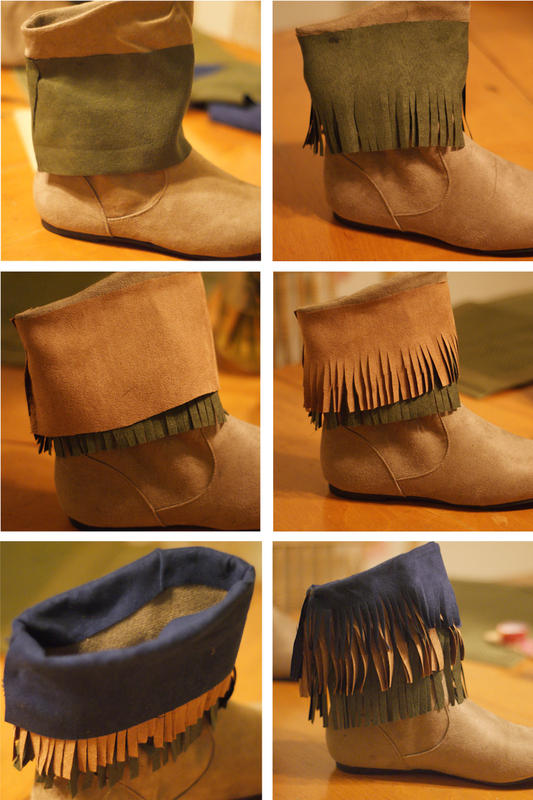 The last (or top) color I folded over the top of the boot and glued on the inside. The most important step: REMEMBER TO PACK THEM! 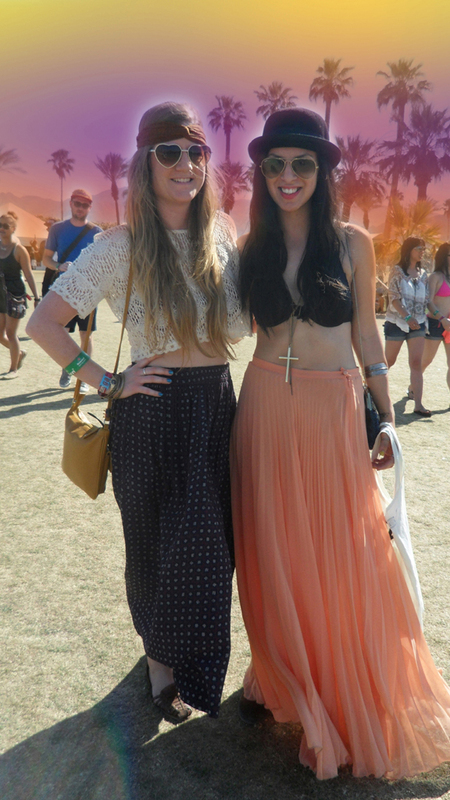 Nicole and her friends still looked cute at Coachella! They even got featured on The Cult of Style! 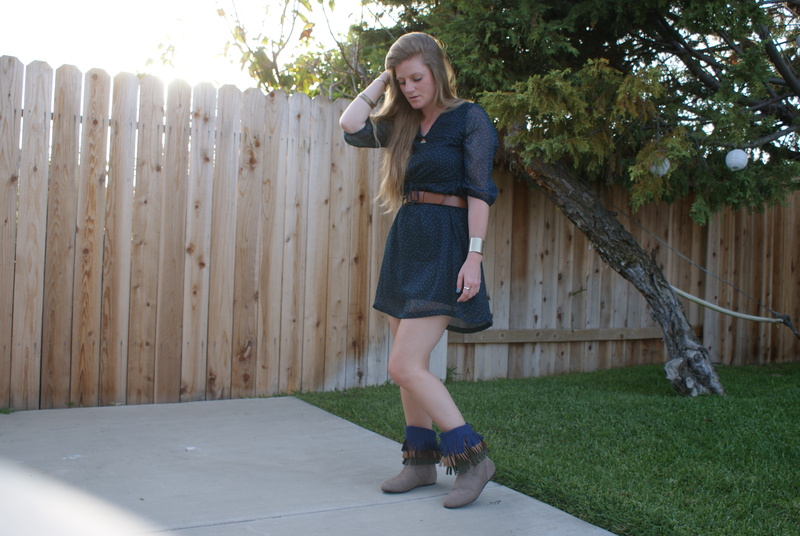 Really cute boots! And I love your new header!